Many people have hair or scalp problems. Hair may thin or fall out, break off, or grow slowly. 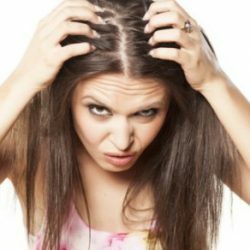 Dandruff or an itching or peeling scalp problems can be upsetting, but they usually are not caused by serious medical problems. A majority of those getting affected with hair loss, approximately 70% in line with a research, ignore when the problem is in the starting phase. Such negligence is resulting in total baldness. Though the reasons vary from individual to individual, this widespread problem is attracting solutions that would rectify the problem with minimum affect. In preventing the baldness existing hair plays a valuable role as it condenses. Hair Loss is a common problem in both male and female. Though reasons vary, the problem is worryingly spreading. In most of the cases a proper treatment and medication to scalp would enable hair grow back. Hair Loss due to certain ailments Thyroid Problems, Viral Fevers, Medication, Anemia or treatments akin to chemotherapy.